Book, "Die Juden in der Karikatur" (The Jews in Caricature). Munich, Germany, 1921. Voting ballot for the 1932 presidential election. Germany, 1932. 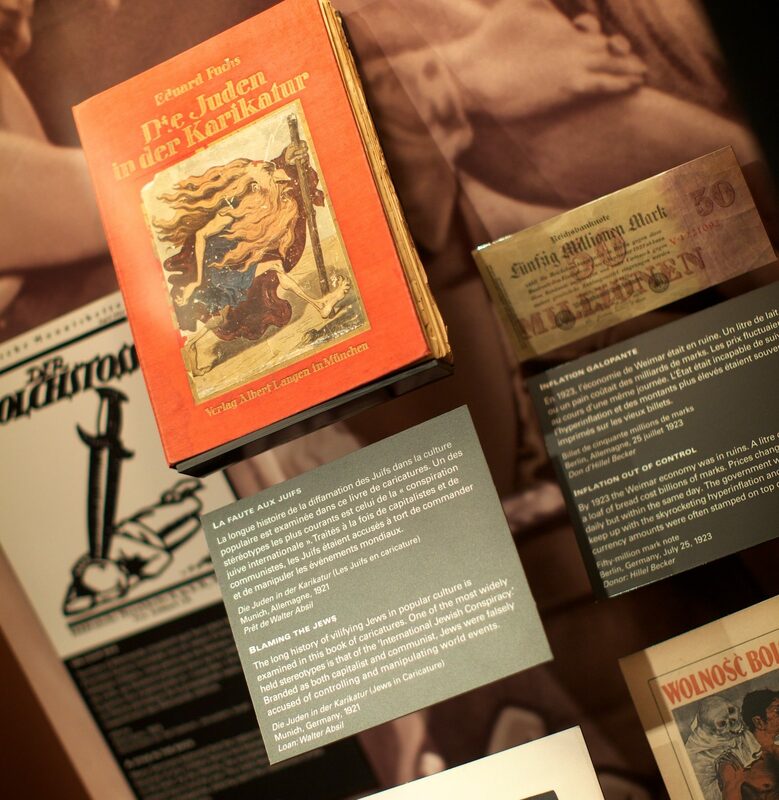 Display about Nazi propaganda and indoctrination of youth. Postcard from Warsaw, Poland to Paris, France, February 19, 1942. Identification of Jews throughout Nazi-occupied Europe. 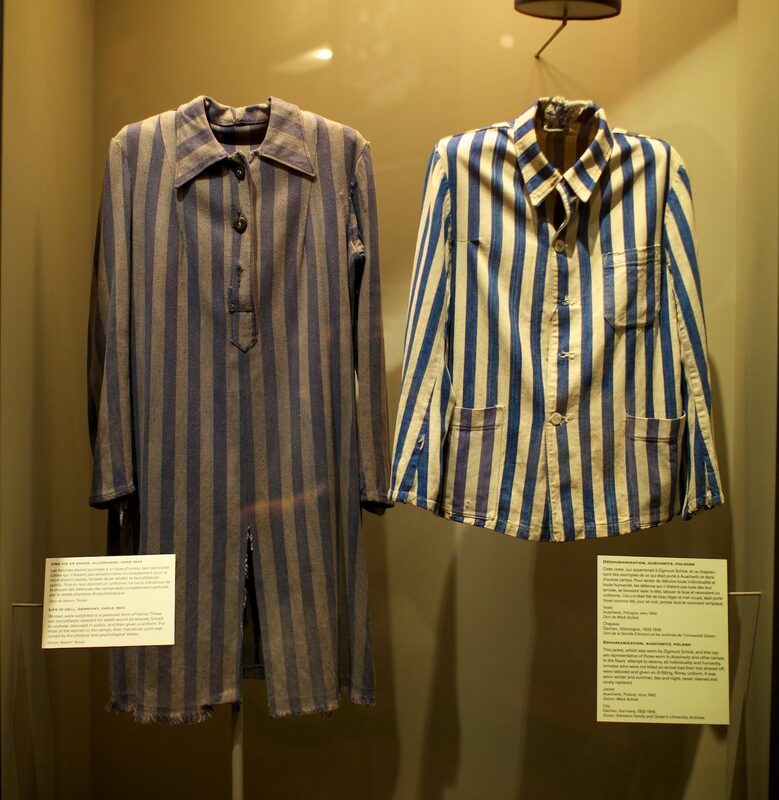 Prisoner uniform jacket worn by Zigmund (Sigmund) Schick in Auschwitz (Poland, 1942-1945) and prisoner uniform dress worn by Sonia Aronowicz in concentration camp (Poland, 1943-1945). 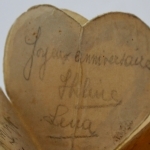 Heart-shaped notebook. Auschwitz, Poland 1944. Display about the Righteous Among the Nations. Memorial room at the Montreal Holocaust Museum. 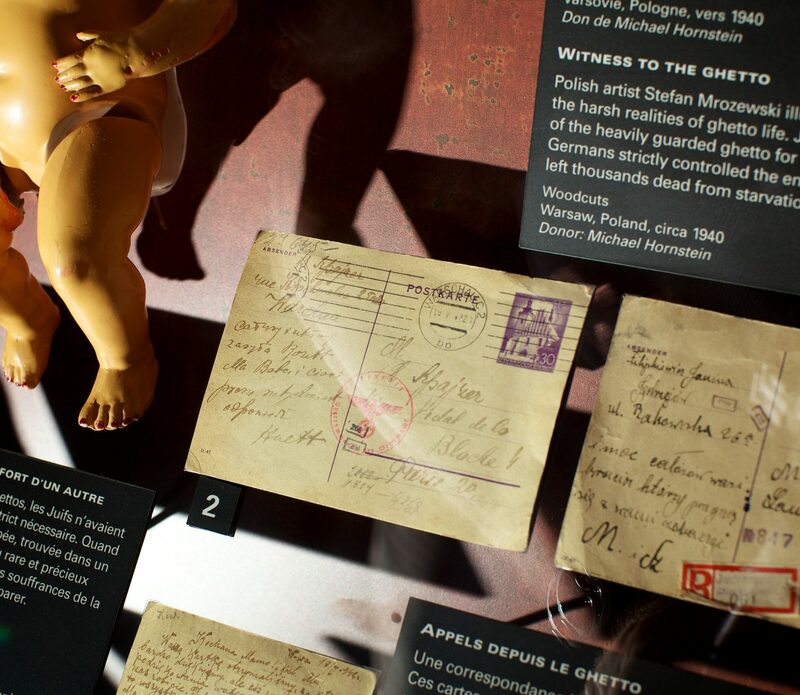 Survivors’ testimonies and objects add a human dimension to each of the following historical periods. 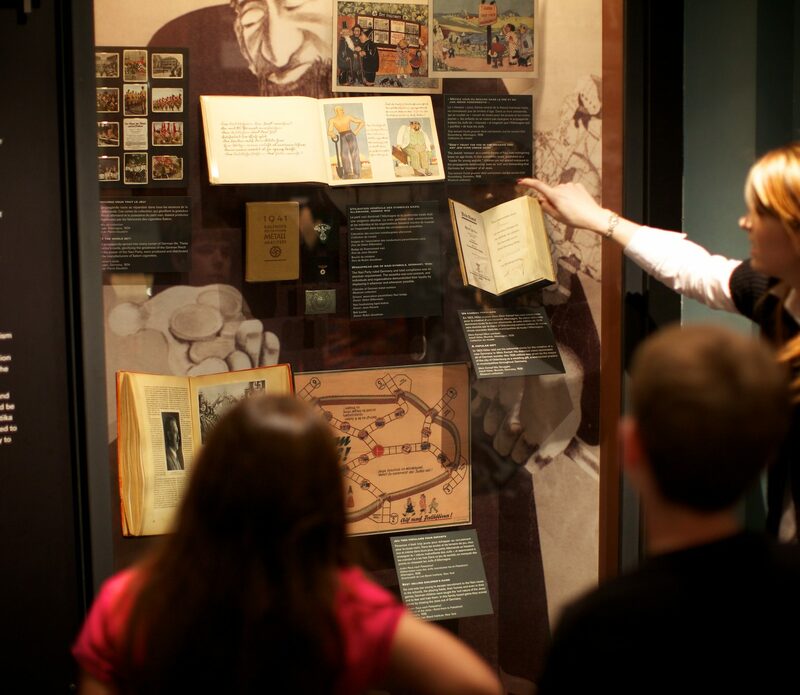 Your visit begins by discovering the cultural diversity of Jewish communities in Europe and North Africa before World War II. 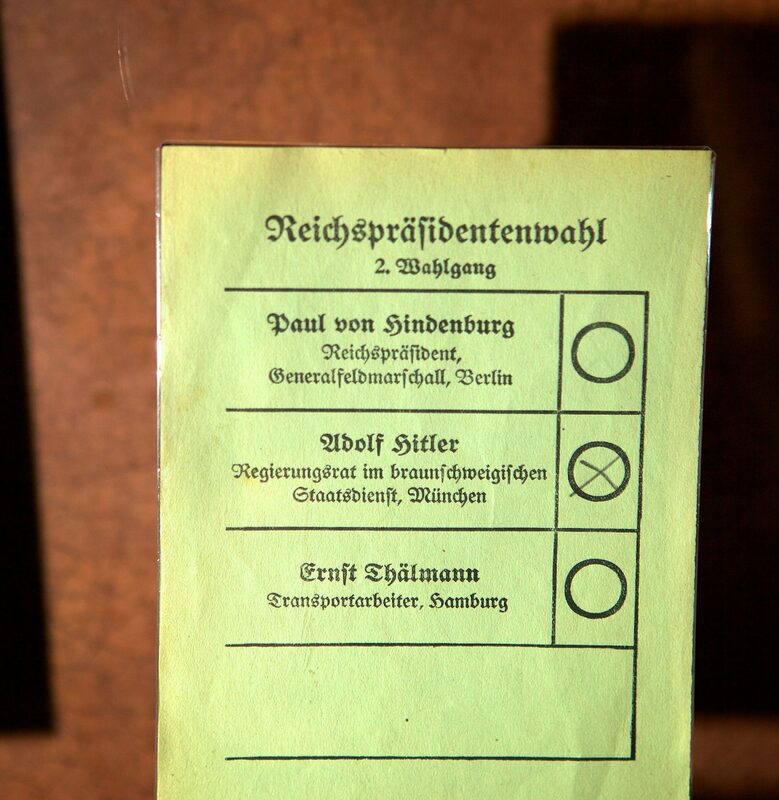 In the pre-war period, you will discover the anti-Jewish policies put in place by the Nazis after their rise to power, as well as the reaction of German Jews. You will conclude this section by learning about antisemitism in Quebec and across Canada, and the world’s reaction to events in Europe. 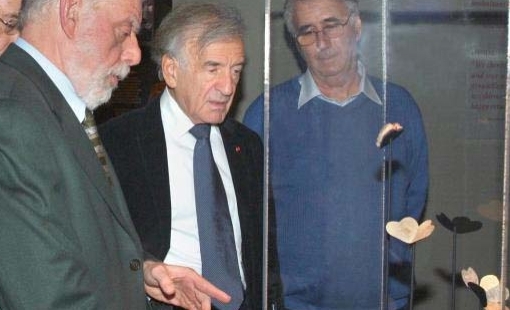 You will also explore the rapid implementation of the genocide of the Jews at the beginning of the Second World War. 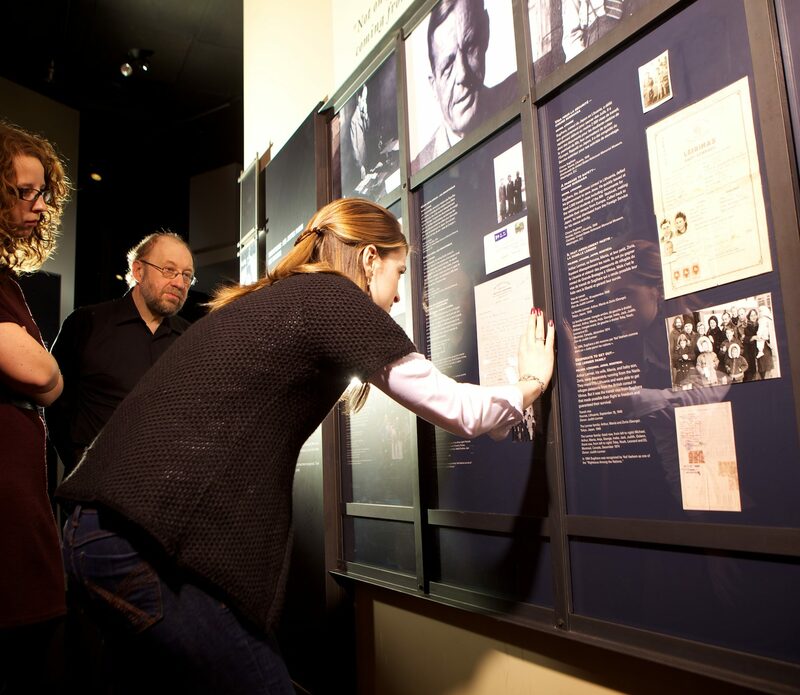 From the systematic destruction of Jewish communities through ghettos, mobile killing units and concentration and death camps, to the inspiring examples of physical and spiritual resistance, you will leave with a strong understanding of the varied personal experiences during the Holocaust. The exhibition provides a better understanding of the end of the war, the liberation of the camps, the situations that Jews in Europe faced after WWII, and their immigration, notably to Montreal. 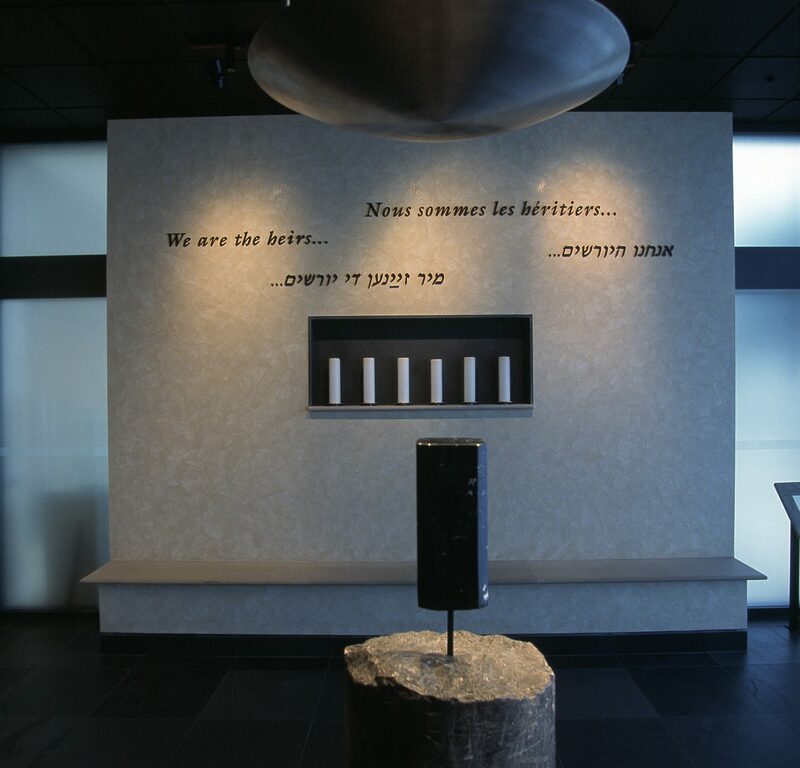 You will complete your visit in a commemoration room allowing for personal reflection and remembrance of the victims. 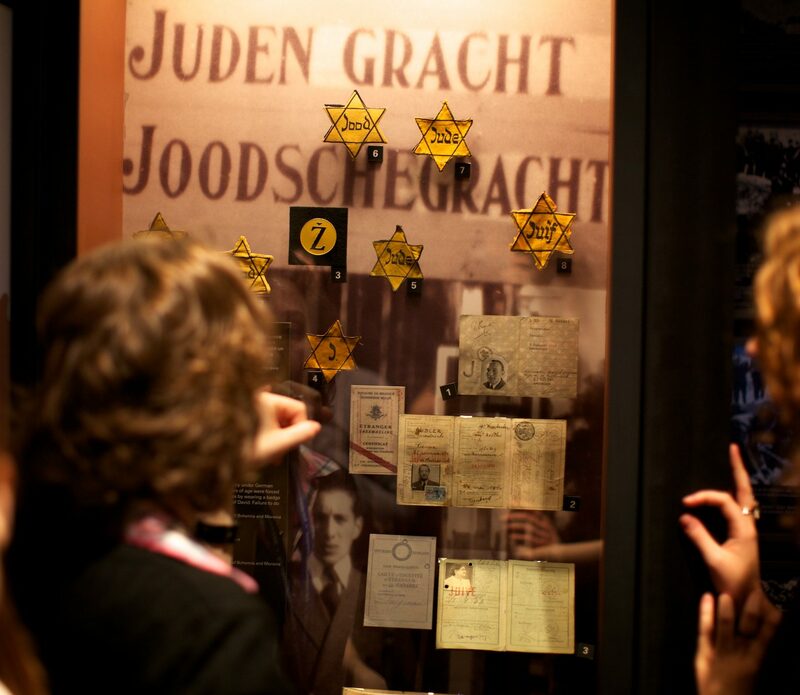 Through the varied experiences presented in the Museum, you will have a better understanding of the complexity and magnitude of the Holocaust. United Against Genocide: Understand, Question, Prevent, from June 6 to August 17, 2018. 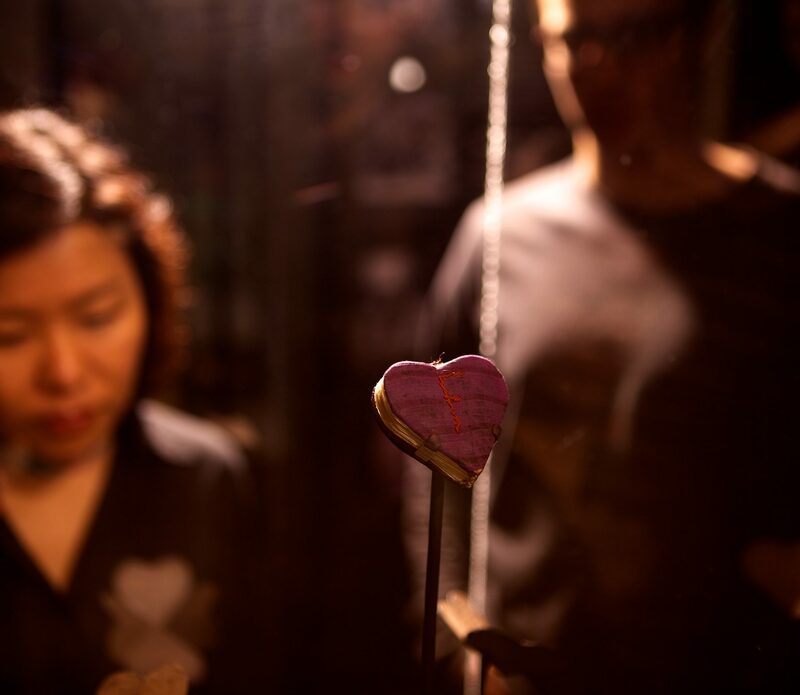 By reservation only, groups of minimum 10 people can benefit from a guided tour.